Welcome to Country Lane Suite - a little taste of the country in the city. You'll love this friendly little neighbourhood on Sentinel Hill overlooking the ocean. A perfect location for those seeking a beautiful British Columbia experience. 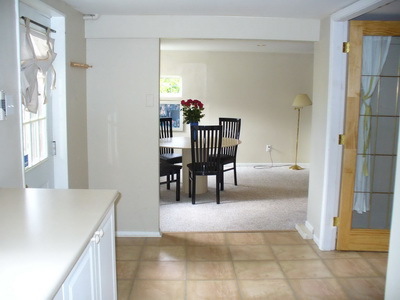 Country Lane Suite is large, sunny, and has been recently renovated including the addition of hardwood floors. The walls are covered with colourful paintings by a local artist. Everything you need for a comfortable stay is included here. In the morning, open your living room curtains to take in the ocean view. The bedrooms face the back for very quiet sleeping. Linen/sheets/towels are provided. 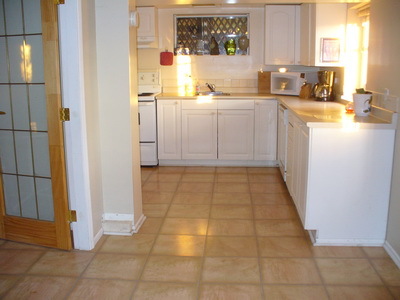 The kitchen is fully equipped including a dishwasher. There is in-suite laundry for your convenience. 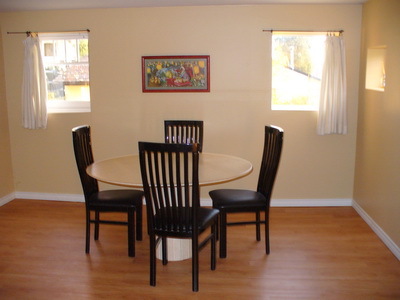 Cable TV, and wireless high speed internet is also available, as well as board games and a selection of movies. 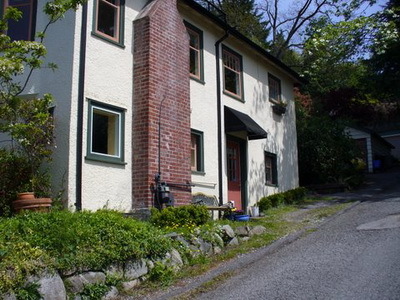 Country Lane Suite is located in Ambleside, a sweet seaside village just across the bridge from downtown Vancouver. Take in a stroll down the hill to the beach and enjoy a long walk along the seawall. Ambleside features many tasty restaurants including Italian, Persian, French and Thai to name just a few, along with cafes, bakeries, and small shops. Country Lane Suite is also just a short walk away from Park Royal Shopping Centre, and several supermarkets. The suite is located just a 2 minute drive from Highway 1 access which will bring you straight to Cypress Mountain within 8 minutes. Continuing further will take you directly to Whistler. Staying here you'll avoid the downtown and bridge traffic and conveniently located just across the street is an express bus to downtown Vancouver as well.